Lewis Auto Sales has its used cars and SUVs listed on CarGurus. To do a vehicle search of our used cars and SUVs, Click Here. The link will take you to CarGurus.com and display our vehicles. If you don’t find your vehicle of choice listed, we can locate the perfect vehicle for you! Just contact us and let us know what type of vehicle you are looking for. You can also contact us using the form on this page. 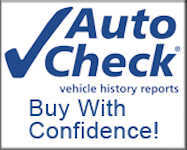 Lewis Auto Sales uses AutoCheck® for vehicle history reports. AutoCheck® vehicle history reports deliver information on reported accidents, odometer rollback, lemon vehicles, branded titles and much more. Their vast database pulls vehicle information from all 50 states and the information is aggregated and managed by Experian, a leading expert in credit and automotive data services. Even if you already have access to a vehicle history report from a provider, AutoCheck® has its own set of exclusive data that may uncover further information about a vehicle you’re considering. When looking to make an expensive purchase such as a new vehicle, shouldn’t you have access to as much information as you can before making a decision? An AutoCheck® report can. In addition to AutoCheck, information about a used car can be found at the National Insurance Crime Bureau. NICB warns that buyers be particularly careful in the coming weeks and months as thousands of Harvey-damaged vehicles may reappear for sale in their areas. Vehicles that were not insured may be cleaned up and put up for sale by the owner or an unscrupulous dealer with no disclosure of the flood damage. 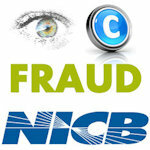 Click Here To Check Out Any Vehicle And For More Information About The NICB. In conclusion, always check out a used car before you buy it.